We are currently conducting free food waste awareness talks for companies. The talk is about 1.5 hours and involves the screening of a video on food waste in Singapore, followed by a presentation on the food waste problem and what individuals can do to reduce food waste. We also have free posters and stickers from NEA for companies to display at their pantry to remind staff to reduce food waste. 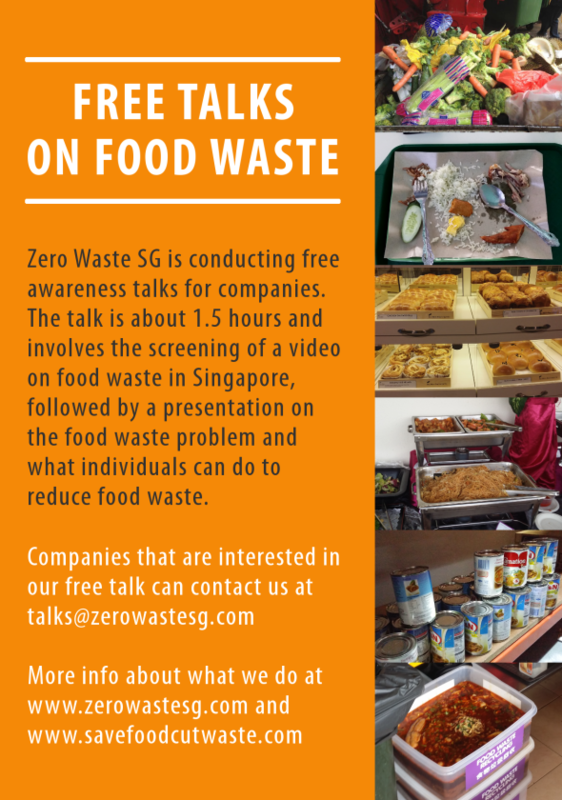 Companies that are interested in the free talk can reply to us at talks@zerowastesg.com with some suitable dates and time so that we can arrange for our volunteers to give the talk. Companies are welcomed to make a donation to Zero Waste SG if they wish to, and we hope that at least 20 people attend the talk so that it is worth our time.